I’ve lived in Montreal for over 15 years and during that time I must have walked up and down McGill Street in Old Montreal hundreds of times. Walking towards de la Commune from downtown I’ve passed Pizzaiolle on many occasions and thought about how nice the place looked from the outside. 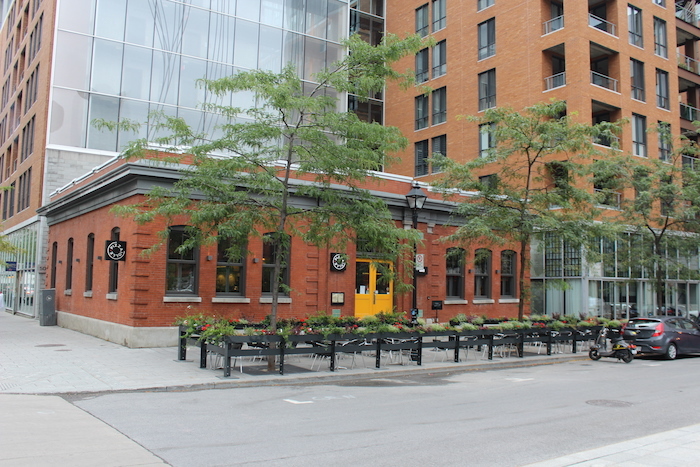 The brick exterior, the fun yellow doors and the quaint terrasse give the restaurant a very welcoming vibe. Last week DJNL was invited to the restaurant to try their new apéritivo (appetizer) menu and I was as much impressed with the substance as I was the style. Everyday from 4 to 7 pm Pizzaiolle aims to tantalize your taste buds with a menu of lite Italian fare at $4 per plate and a selection of delicious $10 cocktails to wash it all down. From delectable antipasti like fresh bruschetta and meatballs with tomato confit to olives, calamari, Italian sausage and more, the portions are perfect for an afterwork nibble while enjoying cocktail. 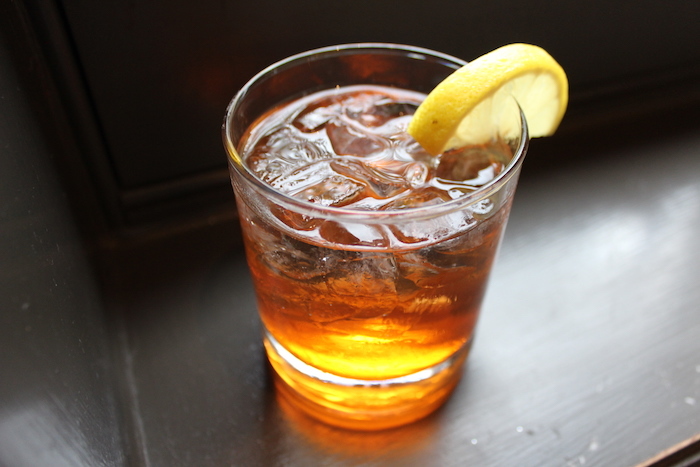 The cocktails on the menu include the very popular Aperol Spritz and other Italian inspired sippers like the Bicicletta and the Moto-Guzzi. 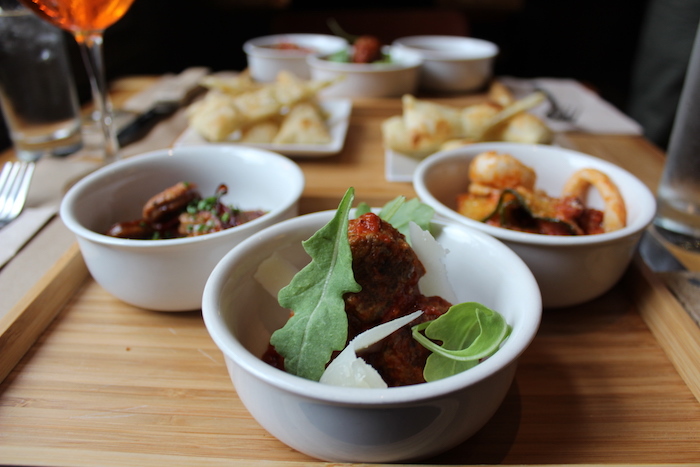 Beyond the 5a7 menu, Pizzaiolle has some of the best pizza I have ever eaten in Montreal. 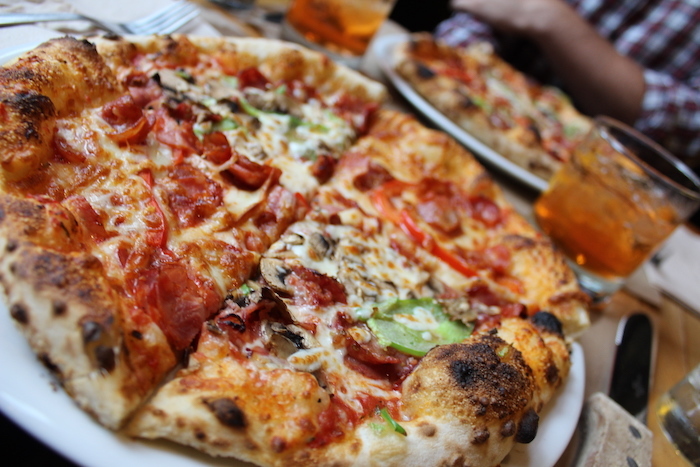 While we were there we tried two pizzas from the regular menu; the Americana and the Chorizo. The crust (it’s all about the crust) is perfectly cooked and the ingredients are fresh and pop with flavour. 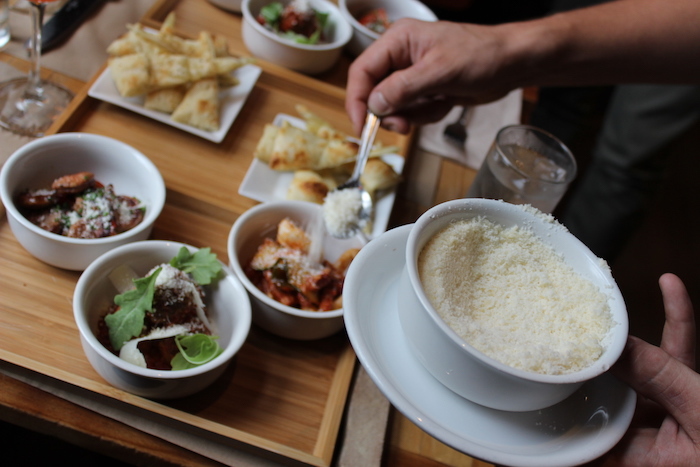 The price points are fantastic as well making Pizzaiolle a must for pizza lovers across Montreal. My first experience at Pizzaiolle was a pleasant one. The service soared above and beyond my expectations. As usual, I observe the waiters as they interact with the other tables and everyone was treated as fairly as us. The restaurant’s structure has existed since 1909 but the interior was designed by Zebulon Perron. His work on Pizzaiolle is a touch warmer than many of his other restaurant designs. 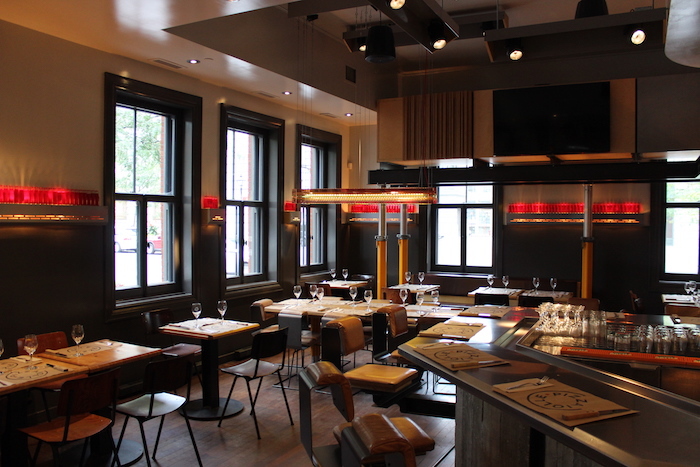 The space is inviting yet modern and features elements that wink at classic Italian pizzerias. 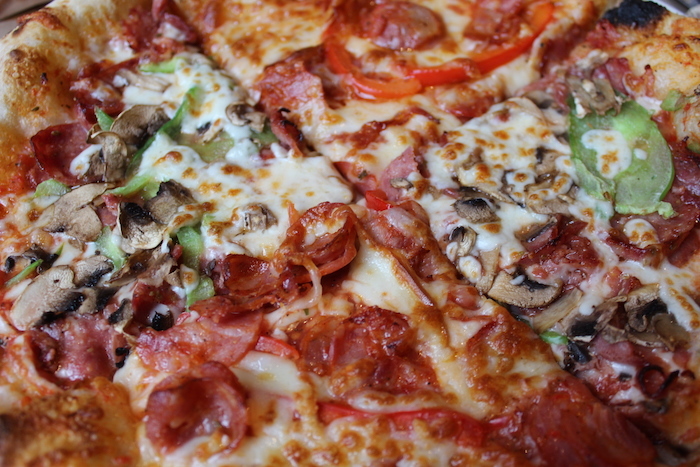 Learn more about Pizzaiolle’s three locations and check out their full menu here. Great pizza and cocktails. Wonderful spot for a 5a7!